Debra R. Borys has over ten years freelancing experience ranging from fiction to articles, feature stories, press releases and radio spots. I interviewed Debra last year on Literature & Fiction. She has joined us today to talk about her latest novel, Bend Me, Shape Me. Please tell everyone a little about yourself, Debra. Debra: I recently returned to small town Illinois to be closer to family, but I spent over fifteen years living in Chicago and then Seattle where I volunteered with organizations that offer services to homeless youth and adults. Getting to know people who live on the streets struggling to survive changed the way I think of them and sparked an interest in creating my Street Stories suspense series. I have been a serious writer all of my adult life and have had several short stories published in addition to the first novel in the Stories series, Painted Black. I operate an on-again/off-again freelance writing and editing business that helps fill in my time and pay a few bills. I have two grown sons and an adorable mixed breed small dog named Sophie who enjoys keeping me company by the computer. Debra: With the Street Stories series I wanted to create an awareness of the people who are homeless. Too often we walk by without looking at the person standing on the street corner or if we do notice we jump to negative conclusions about who that person is. There are a wide variety of people living on the streets and they all have different stories to tell. While the stories in my novels are fiction, they are based on reality. If you find my characters interesting, I guarantee you will find the real people you can meet on the street or at the shelters even more enjoyable and surprising. Debra: In Bend Me, Shape Me, Snow Ramirez is convinced psychiatrist Mordechai Levinson is responsible for one kid’s suicide and is targeting her brother as his next victim. But no one will listen to a seventeen-year-old street kid, especially one diagnosed as bi-polar. When her squat mate Blitz slits his own throat in front of her, she knows it’s time to convince someone to trust her instincts. Once again, reporter Jo Sullivan finds herself the only person willing to listen to one of Chicago’s throwaway youth. Helping out kids less fortunate than herself keeps her mind off her conflicted feelings toward her father and his battle with lung cancer. To save Snow, however, she risks her own life in an unexpected twist of events. Debra: My plots are inspired by real life news stories. For Bend Me, Shape Me an article about a family suing their son’s psychiatrist planted the germ of an idea. Their autistic son had been exhibiting violent and dangerous behavior after beginning treatment and because the family insisted on further investigation, the police discovered the doctor was actually a paranoid schizophrenic who planned to brainwash his patients into becoming his own private security force. I simply asked myself “What if?” What if the patient had no family, no one who cared what happened to him? What might the end result have been? For me, the end result was this book. Debra: The street characters in the series are inspired by the people I met on the streets of Chicago. In some cases, they are loosely based on specific encounters I had, or may be composites of people My protagonist Jo Sullivan is much more negative and dark than I am, but she shares the same concern for helping the homeless and has a thing for tequila, like me. Debra: For this book I started using Microsoft’s OneNote to keep track of plot, characters and research. I created a notebook for the series and then created tabs that will relate to all books in the series, such as Characters, Locations, Research, etc. Each tab can have many pages; for instance, each character has his or her own page where I can keep track of their traits and background stories. The tabs can also be grouped into sections, so I create a section for each novel with one page for each chapter where I summarize what is to happen and also record notes and checkpoints I want to remember to go back and look at later. You can create multiple notebooks for projects and I have begun one for a new cozy mystery series I am working on currently. “True to Borys style you get a very surreal feeling of what life on the streets is really like. It’s gritty, dirty, frightening, and cold. She portrays this life effortlessly, and before long you’re pulled into this harsh life these kids live. The plot moves along at a good pace throughout the story, slowing and spiking at just the right points, and the characters are fleshed out so well that you immediately feel a connection to them – even if you’ve never lived the same kind of life.” — via Darian Wilk. Debra: Because I recently moved back to small town Illinois where I was raised, and also to do something a little lighter in tone, I am writing a cozy mystery which I hope will turn into a series. The title is A Bull By The Horns and in it a country wife who is the caretaker of an art colony established on a working farm tries to solve the murder of a famous literary writer. Or is he? Suspects include a painter, composer, poet and mystery author, as well as an irascible old neighbor upset at the establishment of such an “artsy, fartsy” community a mere five miles from his doorstep. Debra: Details and news are always available at my websites: http://www.Debra-R-Borys.com and http://www.StreetStoriesSuspenseNovels.com. I also have sites set up for each book where you can read the reviews and any news about events: www.BendMeShapeMe.net and www.PaintedBlackNovel.com . Thanks for joining us today, Debra. Debra Thank you for this chance to share my work with your readers again. 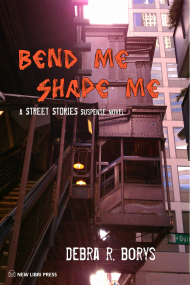 New Libri Press announces publication of the second Street Stories suspense novel, Bend Me, Shape Me, by author Debra R. Borys, available in ebook with trade paperback to follow. 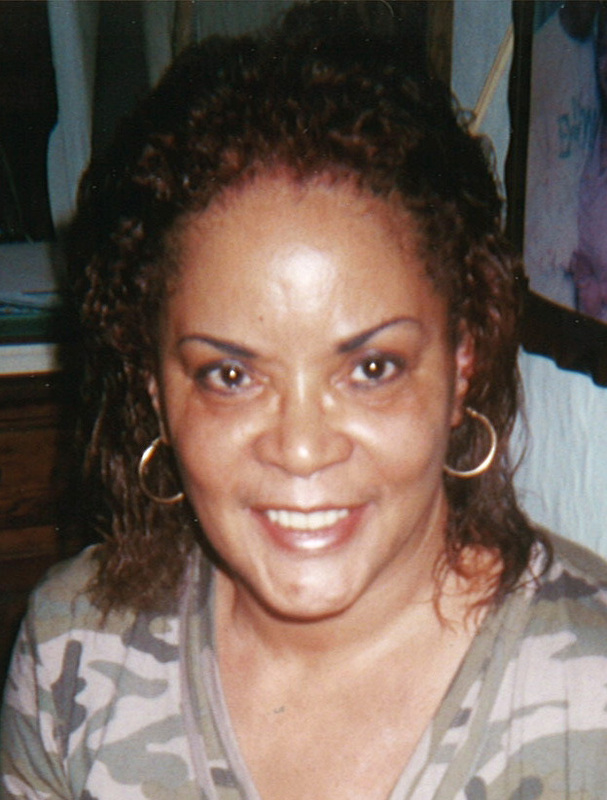 Contact Stasa Fritz (above) with review or interview requests. Snow Ramirez hasn’t trusted anyone in a very long time, not even herself. Memories of her childhood on Washington’s Yakama Reservation haunt her even on the streets of Chicago. When her squat mate Blitz slits his own throat in front of her, she knows it’s time to convince someone to trust her instincts. Blitz may have been diagnosed bi-polar, like Snow herself, but no way would he have offed himself like that if the shrink he’d been seeing hadn’t bent his mind completely out of shape. Debra R. Borys is the author of the STREET STORIES suspense novels.The first book in the series, Painted Black, was published by New Libri Press in 2012. A freelance writer and editor, she spent four years volunteering with Emmaus Ministries and the Night Ministry in Chicago, and eight years doing similar work at Teen Feed, New Horizons and Street Links in Seattle. The STREET STORIES series reflects the reality of throw away youth striving to survive. 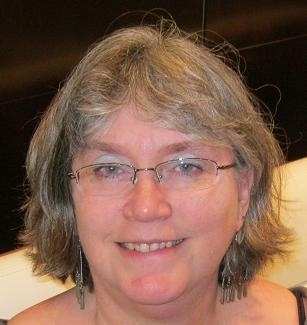 Her publication credits include short fiction in Red Herring Mystery Magazine, Downstate Story and City Slab. Cheyenne Mitchell writes fast-paced, supernatural thrillers. Her first novel, In The Light of Darkness, was published in 2007. Hi Cheyenne, please tell everyone a little about yourself. Cheyenne: I have a Bachelor’s Degree in Journalism/Communication, I was born in Philadelphia, Pa, and I’ve always loved reading fast-paced, exciting novels of which my favorite of all time is entitled The Captains and The Kings by Taylor Caldwell. It’s an over a thousand page novel I read in about four days during the early 1980s. I love writing, singing, dancing, and being with God and family most of all. When did the writing bug bite, and in what genre (s)? Cheyenne: My love of writing began at the age of six years old when I was in the first grade. I loved writing poetry, and my favorite Poet has always been Mr. Edgar Allan Poe whose writings were dark, but very heart-felt. I have always been attracted to the supernatural/thrillers with a touch of drama, which is what I myself love to write about. Cheyenne: I wrote my first supernatural thriller/drama In The Light of Darkness in 1993. It took me three years to write it because I was working full time then. My goal has always been to become a rich and famous novelist, and still is. The message I want readers to grasp from my writings is “what if” this could happen? Or what if this happened to you? I aim to make my protagonists and their problems very identifiable to readers so they can sympathize with them, and to keep them on the edge of their seats with nail-biting suspense and mystery in the process. Cheyenne: I have two supernatural thrillers on the market right now. One is entitled The Covering which is the story of two, teenage sisters who cannot figure out what is going on with their family members who are very strange. Celia, who is the protagonist, will take readers on an incredible and exciting journey as she endeavors, along with her sister, Drew, to find out what their family members are hiding from them. It is a novel filled with terror and lots of shock for readers. My other novel, Syroia, is the story of a young man who is only one member of a family who has been tormented for generations by the demonic spirit of a long-dead murderer. However, the spirit he sees after every killing is NOT the one who has actually been terrorizing him, and many others in his family. 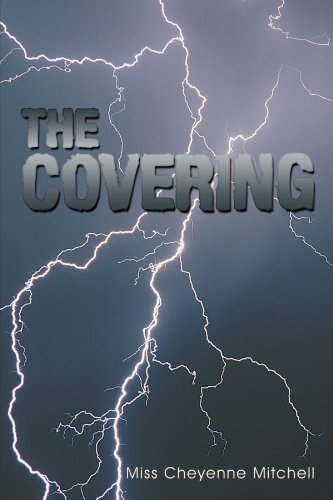 The Covering is receiving all FIVE stars, and Syroia as well from reviewers. What is the hook for the book? Cheyenne: In The Covering: What if nearly two hundred year old vampires were raising two normal, teenage girls who are their own flesh and blood? In Syroia: What if a terrible spirit of someone you never knew is after your soul, but is really someone closer to you than you would ever believe? Cheyenne: I must say that all of my inspiration, creativity, and imagination come directly from God ALONE, and nowhere else. It is like second nature to me. Like a burning in my bones. I have been awakened at three in the morning with ideas for a story or character. Cheyenne: I would have to say my most likeable character in all three of my supernatural thrillers would be Tyla Davidson in In The Light of Darkness. She suffered much as a little girl along with her siblings because of who they believed was their mother. But in the end all of them come through their terror not entirely unscathed, but they manage to find peace. Cheyenne: Again, I have to rely on God, and I take a lot of notes. All I do is write whatever He tells me to write. The words seem to come pouring out onto the page, and the plot comes together naturally for me. Cheyenne: I have a number of projects yet to begin from my God. One thing He wants me to do is write a screenplay for one of my novels. I am in the process of beginning that. Also, I have novels in front of me yet to write, and short stories I want to have published. I have chapters of In the Light of Darkness on my website and website blog – www.misscheyennemitchell.com and I have posted a short story thriller on Facebook (www.facebook.com/misscheyennemitchell) entitled “The Doorway” and another short story thriller on my blog (www.misscheyennemitchell.blogspot.com) entitled “Enraged.” I hope readers will enjoy them. Thanks for joining us today, Cheyenne. Cheyenne: Thank you so much.